Vectoflow GmbH is a young, innovative company developing fluid-dynamic metrology devices. Our founders have gained a large amount of experience in the field of fluid-dynamic measurement systems and relevant industries. We create unseen quality and designs by combining innovative rapid manufacturing methods. Our entrepreneurial spirit and motivation drives us to push the boundaries further. We constantly improve and extend our product portfolio. Vectoflow provides flow measurement solutions for many diverse applications. Our customers need to measure flow velocities, flow angles, local Mach numbers, pressures, temperatures and need high spatial resolution. In some cases, time averaged data is sufficient, but in others, time resolved measurements are necessary. Vectoflow offers high quality solutions both of these situations, ranging from flow probes including calibration in our in-house wind tunnel, to temperature and pressure scanners, to data acquisition and post-processing software. Turbomachinery is an important technical field where we have much to offer. The ability to highly customize the design combined with robust, one-piece construction and high temperature capability materials allows for high quality measurements in challenging environments. Vectoflow also instruments entire gas turbines including traversing systems for their clients. Vectoflow’s lightweight probes also find a strong following in motorsports, primarily in racing applications. Using additive manufacturing, which is used for nearly all of Vectoflow's probes, more than one probe head can be combined into a rake, offering a high degree of customization. These rakes are often used in Formula 1 and wind tunnel applications, where a traverse system with a single probe head would severely limit the measurement range. For measurements at high temperatures, Vectoflow provides flow probes made from Inconel or even ceramics, both of which benefit from the advantages of additive manufacturing. For air-based applications, or where weight is an issue, Vectoflow offers lightweight probes and an Air Data System, which acquires the pressure and temperature from the probe, performs the data reduction on-board and transmits the results to a computer or flight control system. Dr.-Ing. Christian Haigermoser studied Aeronautical Engineering at the Technical University of Munich. During his studies, he participated in an Erasmus exchange program with the SUPERO in Toulouse. After his studies, he did a PhD within a Marie-Curie stipendium at the Technical University of Turin. His topic was the investigation of cavity flows using advanced optical measurement techniques. He also developed a novel method, allowing the computation of the acoustical emission of a flow using time-resolved data from Particle Image Velocimetry (PIV). Afterwards, he joined GE Global Research in Munich, working on compressor aerodynamics. He was responsible for the concept, design and commissioning of several compressor test rigs, and supervised the research with these experimental facilities. He joined BMW in 2011, working on road car aerodynamics. 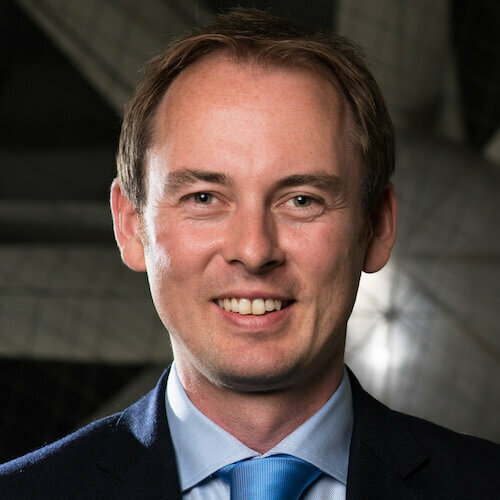 In 2015 he founded the Vectflow GmbH together with Katharina Kreitz and is one of the managing directors. Katharina Kreitz studied mechanical engineering at the Technical University of Munich with a specialization in aeronautics, gas dynamics and astronautics. What she always really appreciated about her studies was the mixture of theoretical knowledge and how to apply it for practical purposes. Therefore she was working quite a lot during and after her studies to gain practical experience in different test environments. She was e.g. working for NASA in collaboration with the Technical University of Munich to find the neutral body posture in space. Afterwards testing and simulation of hybrid rocket thrust chambers at Airbus Space and Defense got her heart to beat. 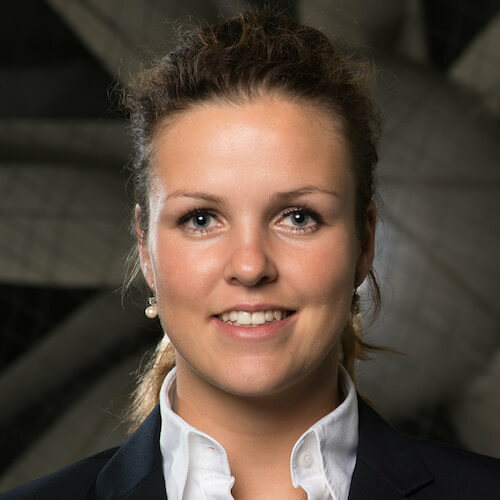 After one year living in Norway, she performed the validation of the 2 wind tunnels at BMW in Munich to analyze why there are differences in the lift and drag coefficients. To gain more economical experience, she decided to become an MBA fellow of the Collège des Ingénieurs in Paris, which offers the exciting opportunity to obtain business and managerial skills by a "learning through action" approach. As integral part of this program, she was working directly for the board of director as a Project Manager in the risk management of Lufthansa Technik in Hamburg. The idea for Vectoflow came from many years of experience in the academic and industrial sectors while sitting with Christian Haigermoser together in the wind tunnel. Since 2015 she is one of the two Managing directors of Vectoflow and mainly responsible for Business development and strategy. We create innovative customer-specific fluid-dynamic probes and metrology systems — individually tailored to your custom use-case. We calibrate and improve your current measurement devices — no matter if made by Vectoflow or our competitors. For us, quality implies individual consulting, a fast customer service and fullfilling all your requirements and demands.